Katey Coleman, is a Pre-Doctoral Psychology Intern at the Sullivan Center. She earned her Bachelor of Arts degree in Psychology and Political Science from Keene State College in 2010. 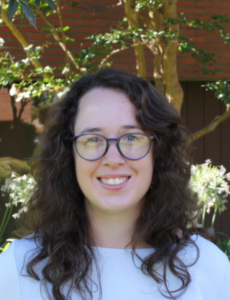 Her dissertation, which is currently in progress, explores the effects of artwork in counseling settings on client expectations for treatment. Katey’s previous clinical experiences include working with children, adolescents, and adults in college counseling centers, residential facilities, private outpatient practices, and neuropsychological service centers. In addition to providing therapy at these locations, she also conducted and assisted with the writing of educational, psychodiagnostic, and neuropsychological evaluations. Katey’s clinical interests include working with a wide range of individuals whose ages and mental health needs vary. She is a member of the International Honor Society in Psychological, Psi Chi, as well as the American Psychological Association and New Hampshire Psychological Association. At the Sullivan Center, Katey will be providing psychological services under the supervision of Jason Christopherson, Psy.D.